PICS: SEE BRATZ DOLLS COME TO LIFE WITH MAKE UP! Remember the Bratz dolls? Well, they've come alive on Instagram. Since the late ’50s, fashion dolls with perfect figures, extensive wardrobes and an impressive list of careers have been a hit with young girls around the world. 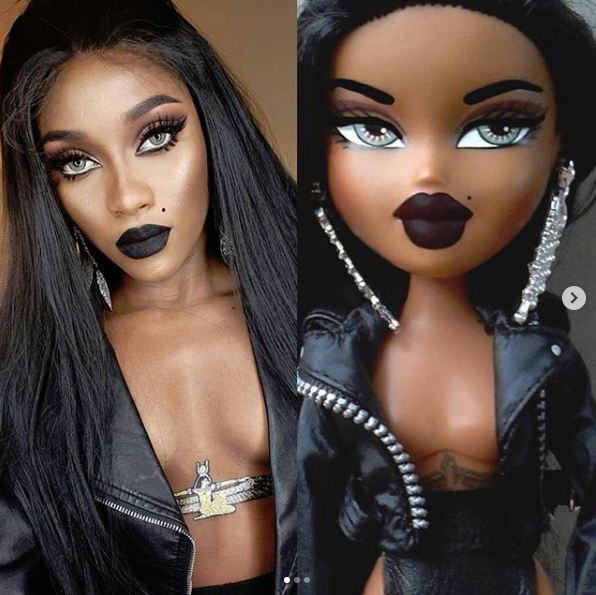 Make up artists took to Instagram to recreate the Bratz looks on with the hashtag #Bratzchallenge. I had to join the #bratzchallenge transformation? What do you think? ? ?